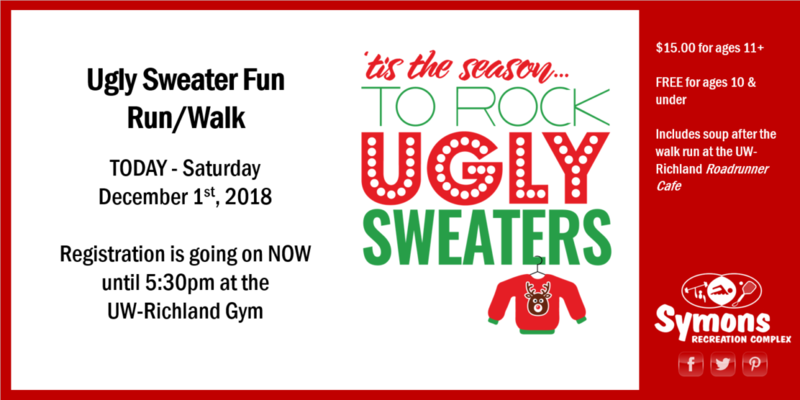 Register now in the UW-Richland gymnasium today until 5:30pm to join the 2 mile Ugly Sweater Fun Run/Walk through the Rotary Lights in the Park! Afterwards, warm up with a warm bowl of soup – your choice of two healthy soups and fixings! Ugly sweaters are not required! Load up the car and bring the whole family!